SCAA Leadership Summit 2011 | Save the Date! 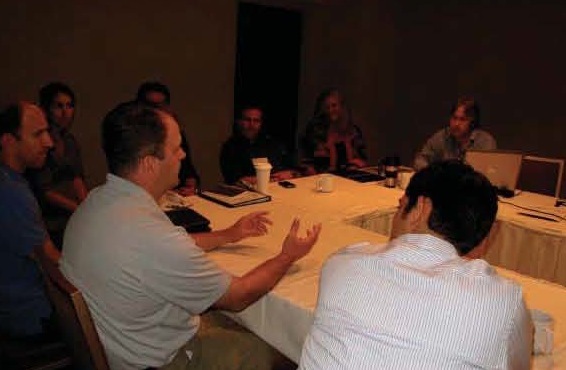 If you are an active SCAA council or committee member, please join us September 29 – October 1, 2011 for the SCAA Leadership Summit (SLS). This year’s event will be held in Portland, Oregon, the location of our upcoming annual Exposition & Symposium. Each year, SCAA council and committee members gather to discuss and strategize about projects, events, and other initiatives in preparation for the year to come. The SCAA relies on these volunteer work groups to conceptualize and implement new ideas, make recommendations on ways to improve existing programs and activities, and support the organization’s programs with their technical expertise and insights. If you are an active committee or council member, you will receive your invitation to the SCAA Leadership Summit via email in the coming weeks. Please keep an eye out for it in your inbox. Hotel booking information | We have a room block at the Portland Hilton with discounted pricing for SLS attendees. Click here for registration information. Meetings are by invitation only. Must be an active council or committee member to attend.